What is a r03 file and how do I open a r03 file? The third package included in a set of files that have been split into one large archive is affixed with the R03 extension, which is why they are known as WinRAR Split Archive Part 3. These R03 files are generally classified as data files that have been implemented with data compression specifications, and this is why these files are also categorized as data files. These files are mainly used to save large archives of files, folders and entire file libraries or directories into multiple packages. Since one large archive may not fit into one disk, they need to be split, and this process is done by having the first split file named as the R01 file, the second part R02, the third part of the set as R03 and so on. These split files may be from R00 to R99, depending on the number of file parts that have been produced from splitting the archive. 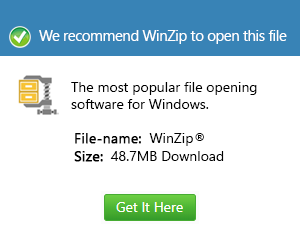 These files are usually created by using WinRAR for Windows or RAR for Mac and UNIX, but there are also other applications that can be use to decompress and open the files or folders stored in an R03 file, such as Corel WinZip 16 Pro for Windows.